In May 2016, four men beat and dragged a young man out of a supermarket in Arnsdorf in eastern Germany. He was tied to a tree until the police arrived. Hot-tempered, with a bottle in his hand, he had been insisting just before that the phone card he had purchased was defective. The events inside the supermarket were filmed by someone else in the store. The video went viral. Many blamed the victim, agreeing that the four men were only protecting the supermarket and its clients. In May 2017 the proceeding was closed. However, the victim was not able to testify in court; a week before the start of the trial his body had been found in the woods in central Saxony. 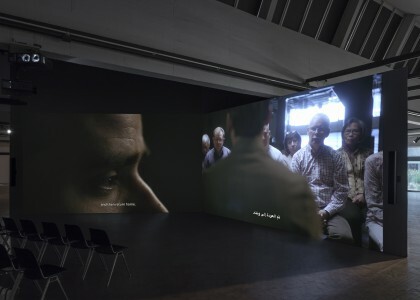 Driven to ask questions ignored by the media and the court, Mario Pfeifer reexamines the incident through Again / Noch einmal (2018), gathering a jury of German citizens to review these events and decide on a verdict. 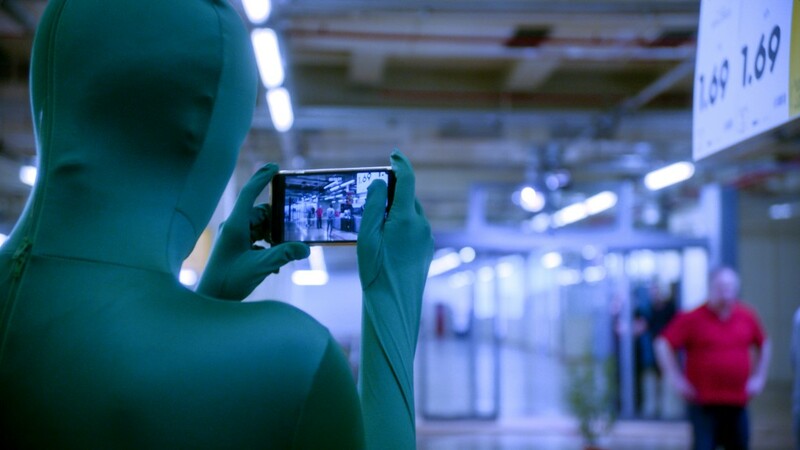 Mediated by actors Mark Waschke and Dennenesch Zoudé, Again / Noch einmal raises questions of moral courage and vigilante justice, asking: How can we maintain a dialogue as society drifts apart? How does the construction of certain narratives influence our perception of reality?